I’m super excited to write this blog post – I feel I need to say this first because it’s a big deal – ok now I can begin! I have been working with boohooMAN for some time now, they’re an amazing company; really focused on affordable high street fashion, that is fast paced and always on the pulse of what is trendy and fashionable – id even go as far as saying setting the trends. They’re a brand that is well known for their cool urban aesthetic with vibrant, colourful outdoor and digital posters, that have already taken London by storm. They’re investing a lot in taking boohooMAN to the next level, and seperating it from the sister brand of boohoo. 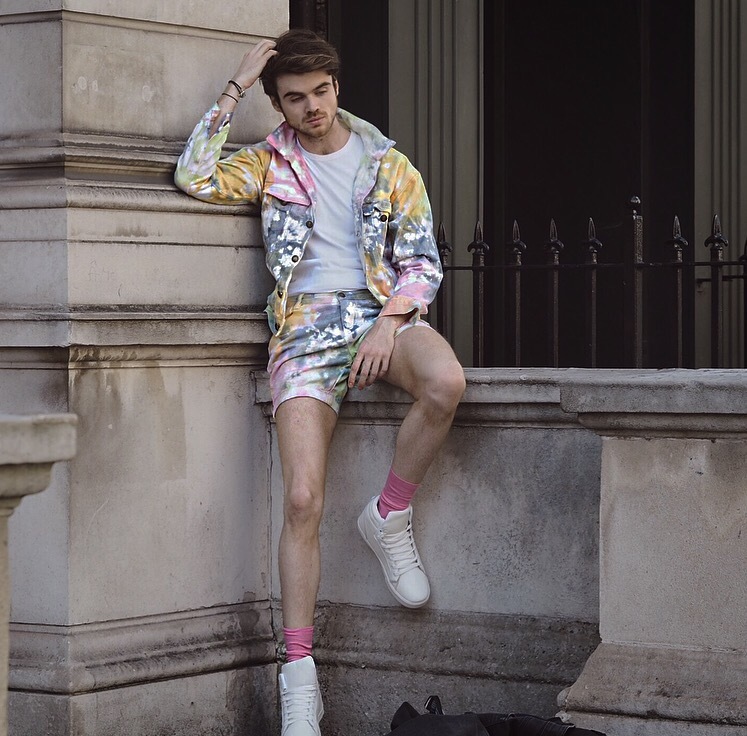 As a gay guy I think it is always important to help champion gay pride and gay rights wherever possible, so you can only imagine my excitement when I was told that boohooMAN were teaming up with incredible designer and gay rights activist Philip Normal for a PRIDE collection, and even more excited that I was asked to be in an influencer on the campaign. Now for those of you who don’t know Philip Normal, shame on you, his graphic tees (in all sense of the word) put amazing gay slogans right to the fore – my favourite tee I’ve seen being “Bottoming My Way To The Top” – luckily my mum doesn’t read my blog because it would be way to awkward to explain what this means. Philip started his career as a designer in the late 90s before opening a stall in Camden Market. Inspired by the gay rights movement and POP culture his clothing speaks perfectly to his audience in a way hat few designers have been able to do. 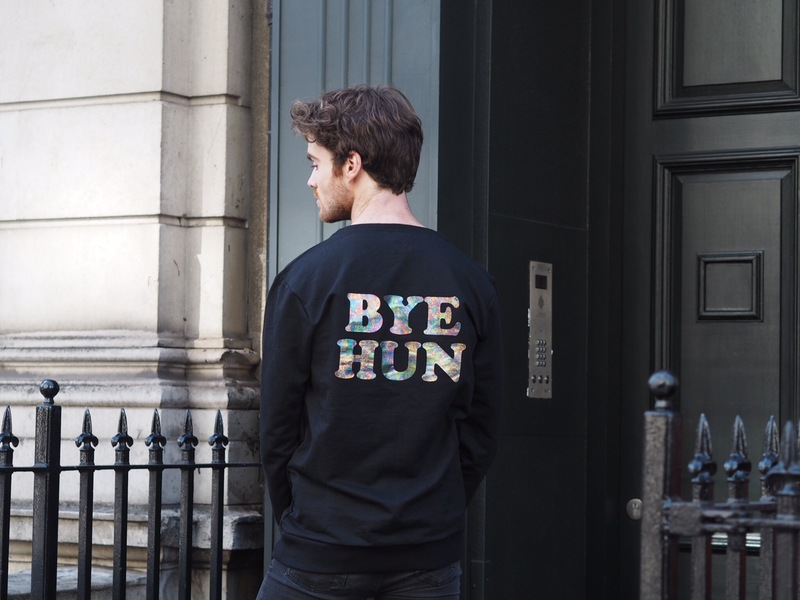 Now obviously boohooMAN aren’t going to go as risqué as Philips traditional range, but you can see the perfect mixture of boohooMAN and Philip in he collection, with the bold vibrant colour mixing with wondering LGBT slogans – can I get an AMEN!! 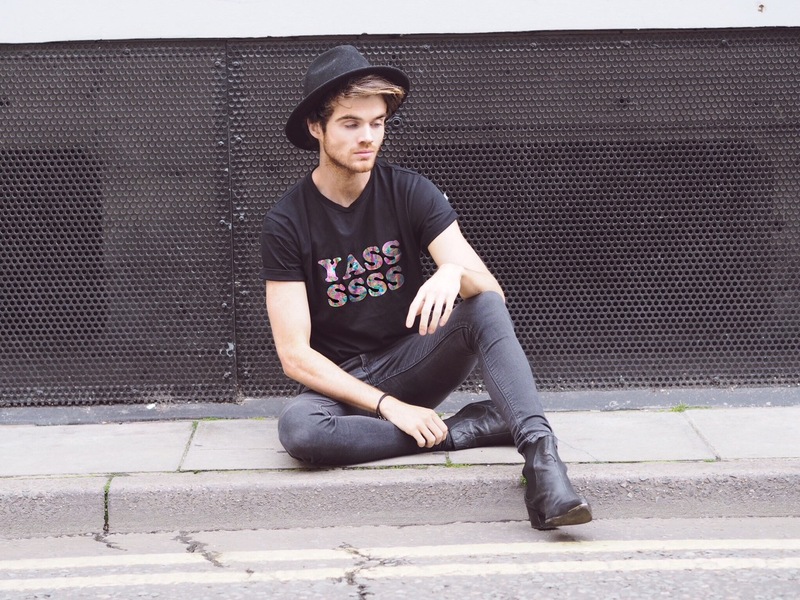 The collaboration embodies an incredibly refreshing move for boohooMAN , aimed at both LGBT and non LGBT youth alike. The range contains over 30 pieces, each with its own unique feel, my favourite being the increidble tie dye two pieces that I will be wearing at every festival from now on. But it isn’t just about the clothing range there is a great charitable angle too. 10% of all proceeds to go charity with 5% going to Philips nominated charity GMFA while he other 5% go to boohooMAN chosen charity the Albert Kennedy Trust. Both boohooMAN and Philip wanted to make Pride 2017 the best yet, and I am so honoured to be able to help promote this amazing campaign. I really hope you like the collection.